The Denis Wick DW5531 trumpet/cornet adjustable cup mute is part of the popular Denis wick brass instrument mute range. 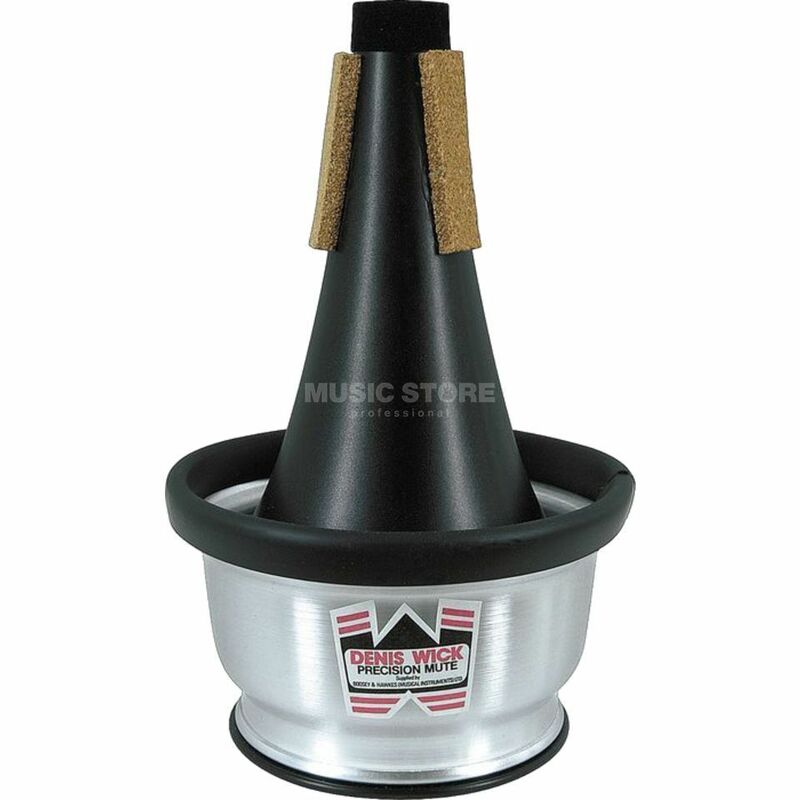 The Denis Wick DW5531 adjustable cup mute is extremely robust, has a great sound and perfect intonation. The adjustable silver cup on the DW5531 can be moved closer to the bell which affects the sound the mute produces and enables the player to experiment and find the desired tone. The tonal versatility of the Denis Wick adjustable cup mute makes it the perfect mute for ensembles, section playing, solo work and microphone use.